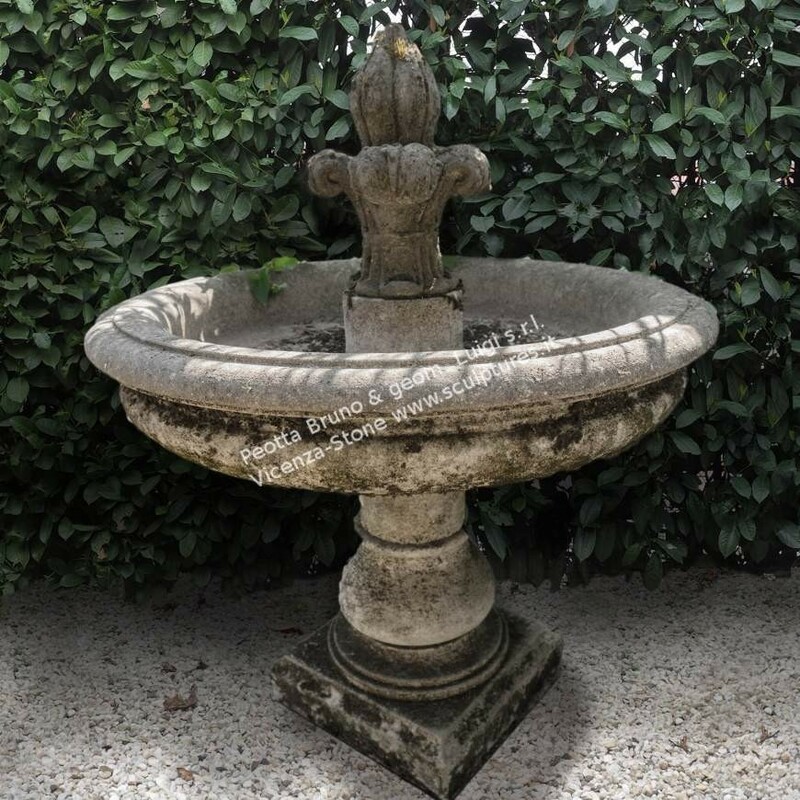 Elegant fountain handcarved in Vicenza stone. Final lily symbolizing the city of Florence. 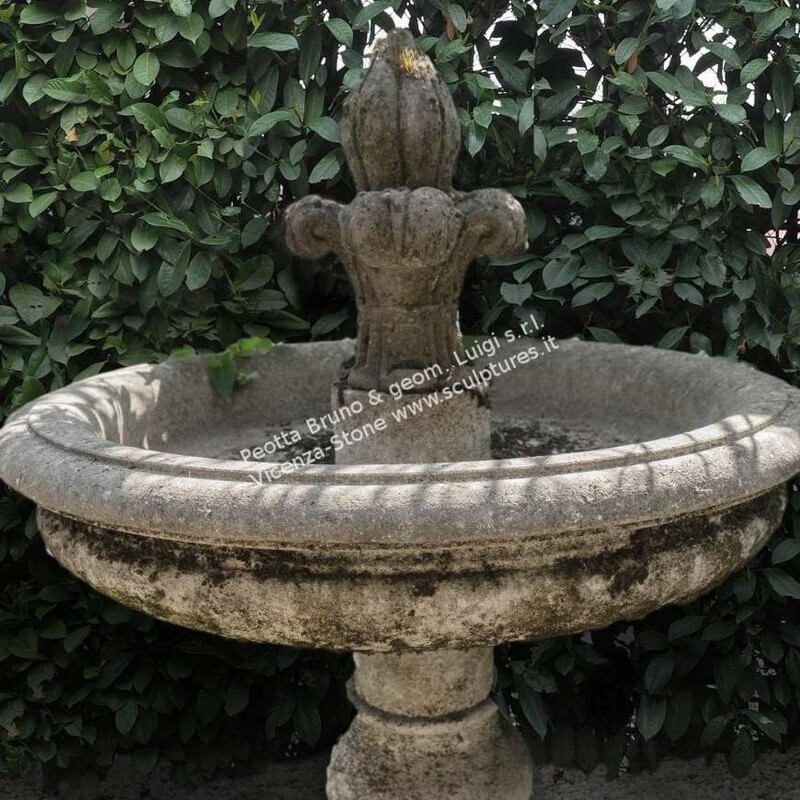 Tipica fountain in the Tuscan areas.